Munyan Island and the Hobe Sound Flats are starting to come to life with an assortment of species. 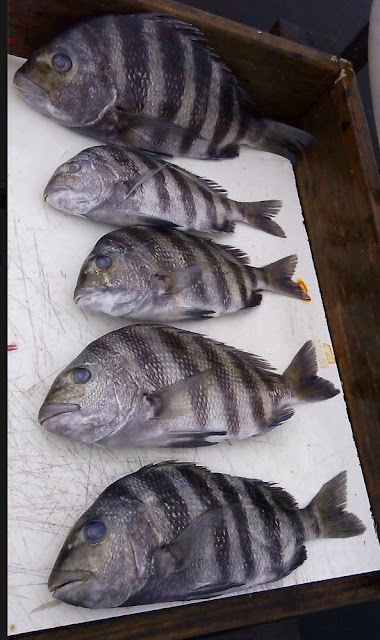 The sheepshead and black drum are starting to bite in better numbers, as are a few spotted seatrout and redfish. Ladyfish and jacks are also around in good numbers. Scattered reports of a few pompano around inshore as well. Snook fishing has been fair, but cooler weather has slowed that down a bit. Remember snook season is closed, so its catch and release fishing only for about another month or so. Surf/Pier- Strong east winds have made surf fishing tough overall. Bluefish action remains the main game in town. Topwater plugs, heavy spoons, and diamond jigs are solid choices for the bluefish. Shark action remains good on the beach for those looking for something bigger to pull on. Pompano action has been slow south of Jupiter Inlet, and only fair to the north. Spanish Mackerel action has been good at Peck's Lake.